Today I’m taking on yogurt. Yes, even the “Greek” varieties. Because I can’t believe that to this day, people still think yogurt is a health food. But I guess that’s marketing for you. I love it. It’s exactly what I’ve been saying for years. So I’m 100% on board to take on the “big dogs”—let’s take on General Mills and Danone. Me thinks they doth protest too much. I mean, have they checked their own ingredient lists? The Yogurt Association goes on to say that “Consumers can continue to buy their favorite yogurts with confidence that they are getting healthful, nutritious and safe products for themselves and their families. In fact, consumers should be eating more yogurt because of its nutritional value.” What nutritional value are they talking about? I just looked up Dannon Light and Fit. Sounds like a great product, right? And any self-respecting yogurt billing itself as healthy should contain nothing but milk and live, active cultures—right? Well, this one contains over 15 ingredients, including artificial sweeteners and “natural flavorings” (which we talked about yesterday). Take a look at just about any yogurt product in your local supermarket and you’ll see what I mean. They’re packed with so much sugar they rival other junk foods like candy bars and soda. Or, worse, they’re loaded with artificial sweeteners like aspartame, which has been linked to brain tumors and neurological disease. And don’t even get me started on the artificial fruit flavors. These are especially common in those drinkable yogurts that come in a tube. Kids love them—and the manufacturers market these monstrosities directly to little ones. But the fact is, they don’t contain any fruit at all. And the ingredients they do contain have been linked to ADHD. Then there’s use of carrageenan, a food thickener derived from seaweed. It sounds OK in theory, but this commonly used ingredient has been linked to GI inflammation, ulcerative colitis and Crohn’s disease. So much for those stomach-soothing “probiotic” benefits so many people think they’re getting from yogurt. 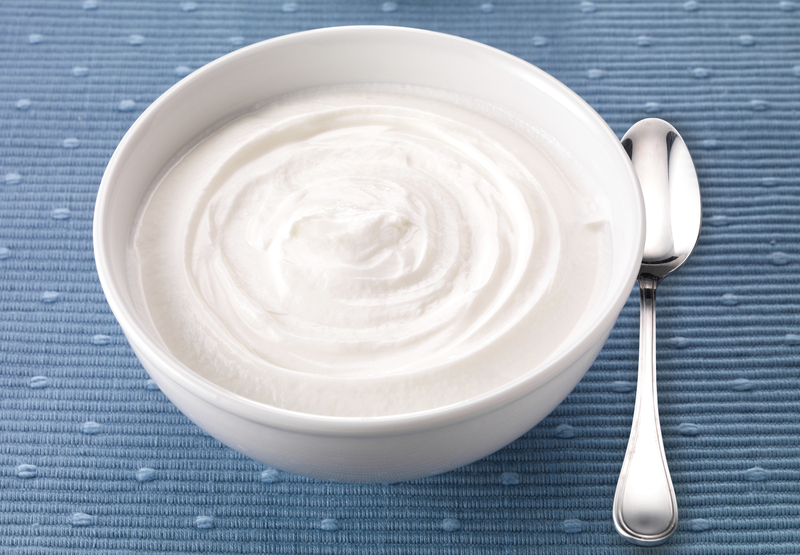 In fact, any probiotics that might be left after all the overprocessing most commercial yogurt products undergo are almost certainly cancelled out by the plethora of bad ingredients I just outlined. Frankly, yogurt is yet another one of those gimmicky foods that is marketed as a health food and simply isn’t. I urge you to stay far, far away from it. Instead, get your probiotics from a good, quality, multi-strain supplement.